CosmoBC.com » HomeBlog » Yard » How To Know That It Is Time For You To Mow The Lawn For Spring Preparation? Spring is the time when every household that has even a small piece of lawn readies for maintaining it. The lawnmowers that had been resting during the winter months make a re-appearance in the lawns, cleaned, repaired, fueled and ready for use. As you get ready to roll out the mower, you might be wondering when you should start mowing. The grass that remained dormant during the winter months and survived the chill wakes up in spring and needs some loving and tender care including careful mowing. Caring for the grass is essential to prepare it for the intensity of heat and light in the growing season in summer, and you should know when it is the right time and the proper way of doing it. You would find this article helpful in knowing about how to care for the lawn. Mowing is much more than catches the eye. If you think that merely pushing the lawn mower at will around the lawn is all that matters, then you are highly mistaken. Mowing is essential for ensuring good health of grass that encourages growth for which the frequency of mowing and mowing height are crucial considerations. It is therefore vital to monitor the grass height so that you mow it at the right time. Maintaining the proper cutting height is also important because if you cut the grass too short it could be harmful to the lawn in the long run. Cutting the grass too early, when it is short would injure it and make it susceptible to diseases. Mowing grass that is 2 inches tall by cutting just one-third of its length is most appropriate. How healthy and green the lawn would depend not only on the right ways of mowing but also on nourishing the soil with proper fertilizers during spring. Early spring is the right time to add nutrients to the soil that bolsters root health and provides the energy needed to hold the spirits high during the forthcoming growing season during the summer months. The second round of fertilizer addition becomes necessary in the late spring when the growth of grass is at its peak and needs more nourishment to sustain the growth. The growth of grass in spring depends on the moisture content in the soil for which you have to ensure all-round watering by setting up proper irrigation systems. Again, you should know when to start watering. Just when the heat starts to wilt the grass slightly, it shows that it is time for watering. When the grass wilts slightly it sends signals to the grassroots that it is time for it to grow deeper into the soil to endure the dry spell arising from the summer heat. Once you start watering your grass, and you figure out how often it needs to be done, you can install timers for watering to make sure your lawn is then watered on a regular schedule. 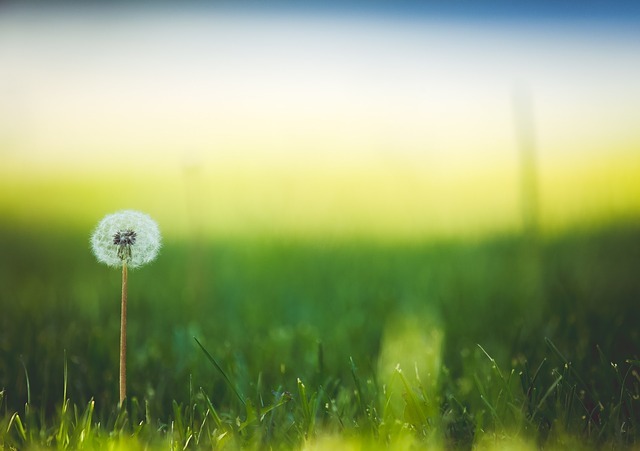 Allow the grass to grow tall enough so that it can slow down the growth of weeds as it can withstand more heat, and the root system is larger. Maintaining a fixed height of the grass determines the mowing frequency.